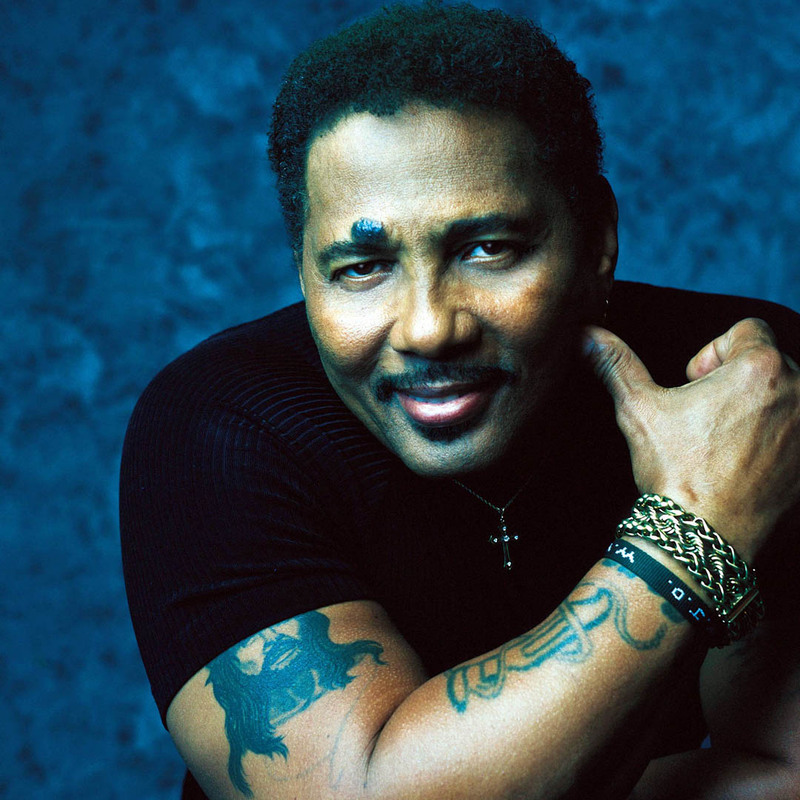 There are two striking features you notice when Aaron Neville performs: his massive biceps and his ethereal falsetto voice. Once you come to grips with the incon­gruity of his hulking, muscular frame and his transcendent vocal gift, you take notice of the rosary bracelets, the dis­tinctive mole above his left eye, and the numerous tattoos- including the dagger on his left cheek. A few years ago, my best friend and I were invited to the CD release party for the Neville Brothers while we were in New Orleans. The Neville family has been a Big Easy music institution for more than 50 years. The brothers (Art, Aaron, Charles, and Cyril) were in their hometown pro­moting Walkin’ in the Shadow of Life-a hip-hopish album of French Quarter funk, jazz, soul, rhythm and blues. The crowd at the House of Blues was mesmerized as Aaron sang his classic ballad, “Tell It Like It Is.” Forty years ago, that song shot to the top of the charts. The heartbreak behind the hit is that although it had been selling 40,000 copies a week and was being played nationwide on the radio, Aaron Neville’s recording label was in a downward tailspin. He never saw the song’s royalties. Someone was get­ting rich off his artistry, but it sure was not Neville. While the song was topping the charts, he was busting his back as a longshoreman on the docks of New Orleans in order to feed his family. Aaron Neville sings with a sincere earnestness. He is the least flamboyant on the stage, yet he is the most intense when he strings along his vocal offering-treating each note and harmony with the precision of a heart surgeon. He is grateful for his gift and he treasures the opportunity to share it with others. Neville earned his spot on the stage by triumphing over Jim Crow racism, drug addiction, prison time, and financial desperation. For the warrior, the battle never seems to cease. His wife of 47 years recently died of a long bout with cancer and Neville found himself displaced from his hometown of New Orleans shortly after hurricane Katrina. In the midst of his losses, he sings to bring hope where life’s clouds have turned gray. His tremulous voice is recognized all over the world. Neville has won three Grammys and has been nominated for numerous others. He has even become a modest pop culture icon by being periodically parodied on Saturday Night Live, singing the Star Spangled Banner at Super Bowl XL last year with Aretha Franklin, and making a guest appearance on The Young and the Restless. Neville did the crimes and served his time. Neville was raised in a God-fearing home. His dad was Methodist and his mom was Catholic. He attended Saint Monica, a school run by nuns who used to get death threats from the Ku Klux Klan for teaching black kids. “They were caring women who taught me about love,” he remembers. Heroin was Neville’s undoing. For a while, his wife kicked him out of the house because of his habit. He was never sure if he was chasing the dragon or it was chasing him. All he knew was that he was a slave to the high. The revelry of the Neville Brothers gig at the House of Blues came to an astounding and respectful silence when Brother Aaron began singing an a cappella version of “Amazing Grace.” Without preaching, the testimony went forth. “I once was lost, but now I’m found. Was blind but now I see.” People wiped tears from their eyes. John Newton’s hymn is universally beloved-even in the midst of spilled beer and cigarette smoke. Although we may not all be ready to walk through the front door to the house of redemption, we still like to know that the porch light is on. A few years ago, The New York Times reported: “In Britain, many social workers have sent Neville’s CDs to suicidal patients as spiri­tual medicine, hoping his voice will quell depression. In India a bridge has been named for him. Doctors at Saint Jude-the patron saint of lost causes. He finally checked himself into the rehab program at DePaul Hospital in New Orleans. That was 25 years ago. In addition to the one-week lock-down, Neville stayed an additional two weeks because he didn’t feel ready to deal with the outside. He did lots of praying. The man with the physique of a fighter was battling for his own soul. He gets letters all the time about the healing power of his singing. “It’s the God in me touching the God in them,” he concludes. Despite the temptations to bow once again to his addiction, Neville was ready for the next chapter of his life-one that would include three Grammy Awards and numerous nominations. Steve Beard is the creator of Thunderstruck.org. This article appeared in Risen Magazine in 2007.